Don't have a panini maker? You really don't need one to make this delicious Grilled Insalata Caprese . 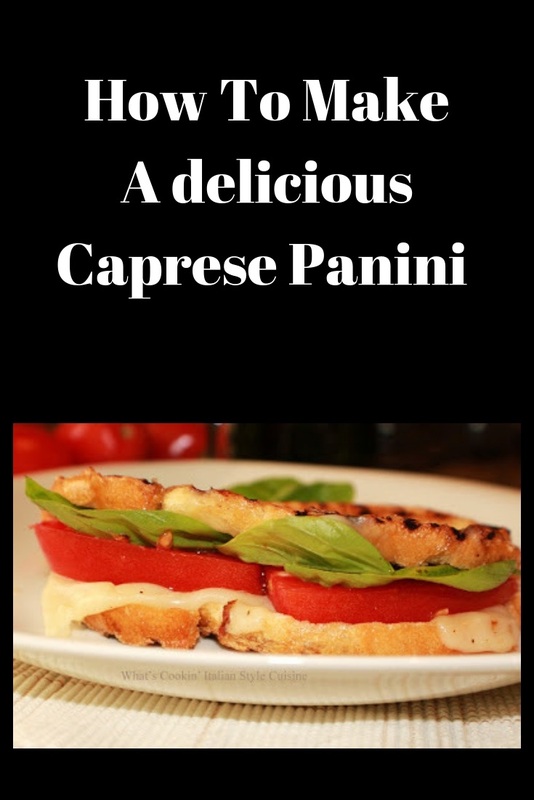 Check out how easy it is to make this delicious caprese sandwich without the panini maker and it taste over the top delicious with all the melted cheese. You really only need a heavy grated pan with a heavy dish to press on top to make a panini no need for expensive makers! Check out the recipe and stroll down to see how I did this! Even though this is a basic sandwich with cheese and tomato and my personal favorite, you can add anything to this you like. Tuna is one of my favorite combinations with this sandwich. My kids love pepperoni added or cooked Italian sausage slice. Also added spinach and roasted peppers are another addition of tasty ingredients. You can use any heavy pan but cast iron is the best bet to weigh down the sandwich. One with grates on it will also give it some nice grill marks. This sandwich is perfect for lunch or dinner. Again you can add crispy bacon or any kinds of meats, even thinly sliced steak. 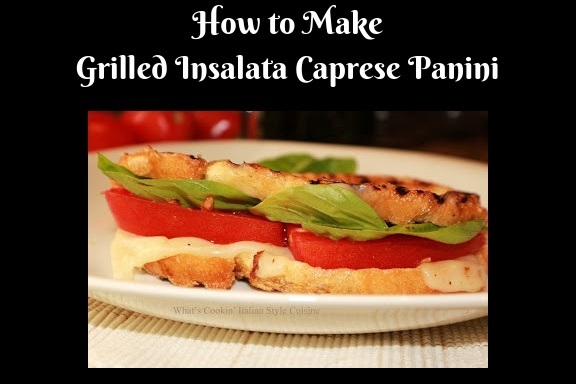 I love this grilled insalta caprese panini just the way it is. There's nothing to it check out these other recipes! 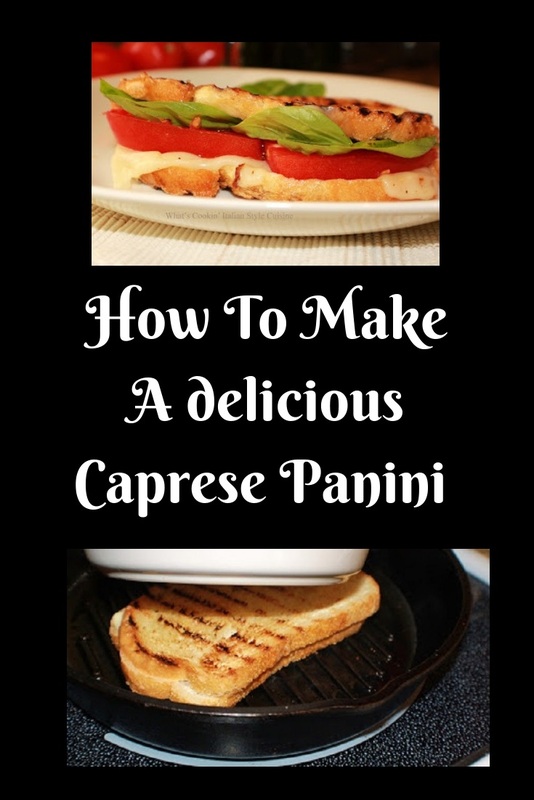 This is how to make a delicious panini without an electirc panini maker! Spray the pan with cooking oil and heat to high. Brush both sides of the bread with olive oil. I sprinkle mine with oregano, garlic powder, salt and pepper lightly. Place two to three slices of mozzarella on the bread, top with sliced tomatoes. Grill on one side till brown pressing down with a heavy plate. Flip. Brown on the other side. When done cool for a few minutes not to get burned. 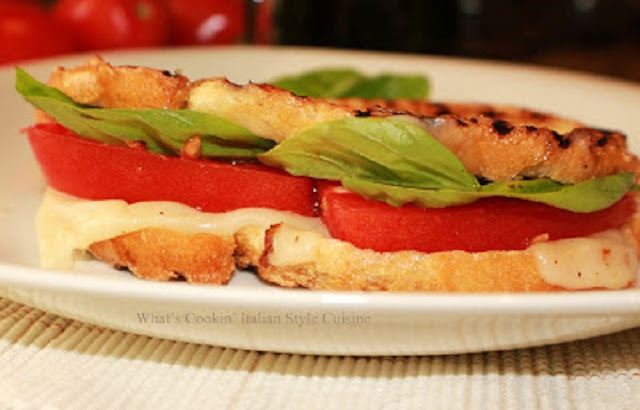 Open the sandwich and place the basil inside the sandwich. Be careful it's hot! (I found basil stays nice, bright, fresh looking and doesn't look brown when waiting till the end to add it, that's the reason I don't cook with the basil inside. buona questa caprese. I like it toasted like this it is even more tasty.Brava Claudia! Mmmmmm. One of my summer favorites, when I can get fresh tomato and basil. I really like this idea and it looks delicious. 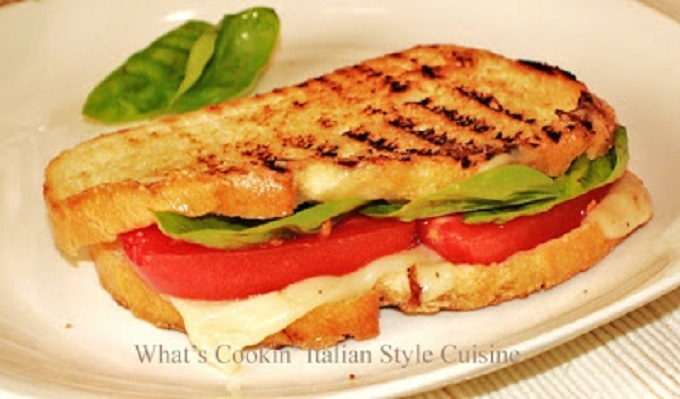 Perfect - caprese in panini, love it!